Join Us. Partner With Us. Try your luck in the JLG 60th Anniversary Raffle! Buy a Brick by May 1st! Last Call! 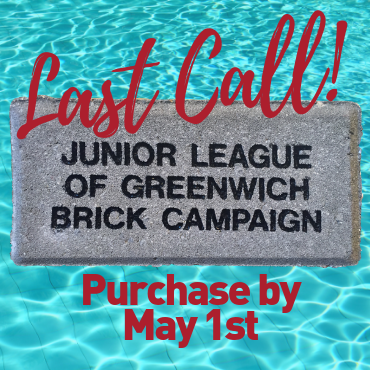 A few weeks remain to buy a brick and be part of the Greenwich Pool in Byram Park legacy. Engraved bricks may be purchased until May 1st! Registration for the lottery for the May 18th, 2019 session is now OPEN! Register your 5th grade boy before May 10th! Save the date for Touch A Truck on Sunday, June 9! Get your tickets today! 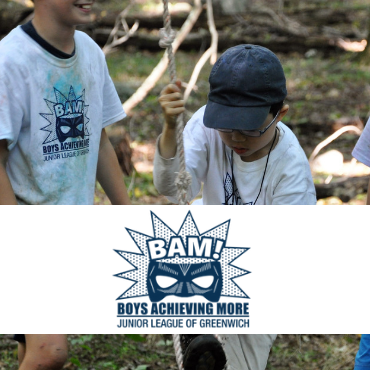 It has been said many times that if you live or work in Greenwich, chances are you or someone in your family has felt the effect of a project of the Junior League of Greenwich (JLG). This year, the JLG is celebrating 60 years of impacting the lives of countless Greenwich residents through the design and creation of programs and projects addressing critical community needs. Over the last six decades, the JLG has taken on bricks-and-mortar projects like Kids In Crisis, the daycare center at the Children’s Day School, Greenwich Skatepark, Boundless Playground at Bruce Park and most recently the Greenwich Pool in Byram Park. Projects addressing the environment, parent education, domestic violence, AIDS awareness and affordable housing were conceived, initiated and implemented by the Junior League, as were community mainstays like YES (Youth Employment Service at Greenwich High School), the Den for Grieving Kids and Safety Town. The JLG was chartered on February 22, 1959 and has continuously served the Greenwich community for 60 years. The Junior League of Greenwich trains its volunteers to research and identify community needs. Through the funds it raises, it initiates programs that meet these needs and then works in partnership with other civic organizations and agencies to implement solutions. The JLG typically administers projects for approximately 2 to 10 years, usually turning them over to an existing agency or organization, but some projects become independent entities. To read the full article, visit the Greenwich Sentinel website or click HERE! Read the full article at www.greenwichmagazine.com or click HERE! The Junior League of Greenwich (JLG) hosted its 12th year of Casino Day at The Nathaniel Witherell center, where residents tried their luck on Saturday, January 26th. 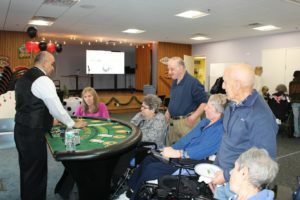 For the past 12 years the JLG has brought Casino Day to the residents at The Nathaniel Witherell. At this annual event, laughter indeed is the best medicine! It’s designed as a day of entertainment for the entire senior community. The event featured Bingo, Roulette, Slot Machines and other casino themed games provided by Ace and Jack Enterprises, located in Valley Stream, New York. Junior League volunteers will guide members of the Senior Center and share the latest trends to help improve their technology skills. Climb aboard a fire truck, go sky high in a cherry picker & ride the rails! 10:00am - 2:00pm at Greenwich Town Hall, 101 Field Point Road, Greenwich, RAIN or SHINE! 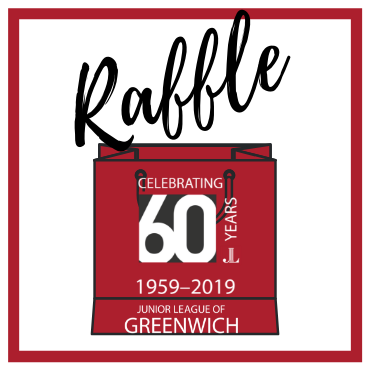 The Junior League of Greenwich (JLG) was chartered in February 1959 and has continued to serve and grow the community for 60 years. The JLG has played a major role in designing and establishing a wealth of services for the community. While the JLG’s role may no longer be directly visible, many of the services that have touched the lives of Greenwich residents were conceived, initiated and implemented by the League. 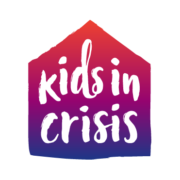 The Junior League of Greenwich is proud to announce that its 2018 Community Grant recipient is Kids in Crisis to expand Youth Mental Health First Aid Training at the Boys & Girls Club of Greenwich. 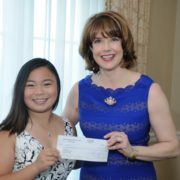 The Junior League of Greenwich presented the 2018 Community Service Award to Christine Kao, a Senior at Greenwich Academy. Christine plans to use this award to create a fund for the repair of instruments at Waterside Elementary. Congratulations Christine Kao and thank you for making an impact in our community! The Junior League of Greenwich worked closely with Family Centers to plan and implement an interactive learning garden at the Grauer Preschool. 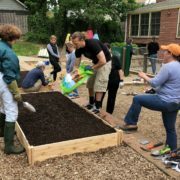 The garden will provide an outdoor setting for children to gain hands-on experience in growing their own food, while teaching social and leadership skills, as well as health and nutrition. 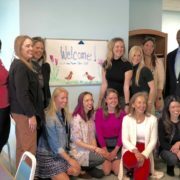 The Junior League of Greenwich took great pleasure in renovating and repurposing the Boys & Girls Club of Greenwich’s Learning Resource room. This room is one of the mot impactful rooms in the beautiful building of the Club, as it is well utilized. The main purpose of this room is for the Club Kids to complete homework. The renovated room now has color, desk carrels, tables that house 2-4 students, and placement of the items in the room to allow for a conducive learning environment. 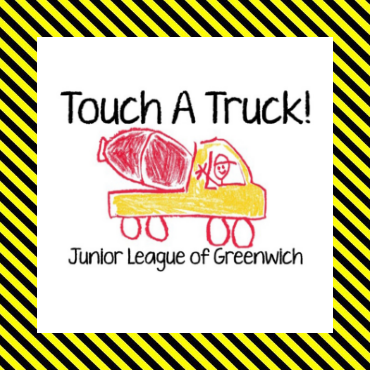 The Junior League of Greenwich is an organization of women committed to promoting voluntarism, developing the potential of women and improving the community through the effective action and leadership of trained volunteers. Want to stay in the know? Join our email distribution list HERE!